▶ Available on Digital Download 18th December 2017, On DVD and Blu-Ray 8th January 2018. Prague, 1942. The Third Reich is at its zenith, controlling most of Europe. Reinhard Heydrich (Jason Clarke, Zero Dark Thirty), aided by his wife Lina (Rosamund Pike, Gone Girl), has risen to the top of the Nazi Party as head of the SS, the Gestapo, and the architect of the “Final Solution”. 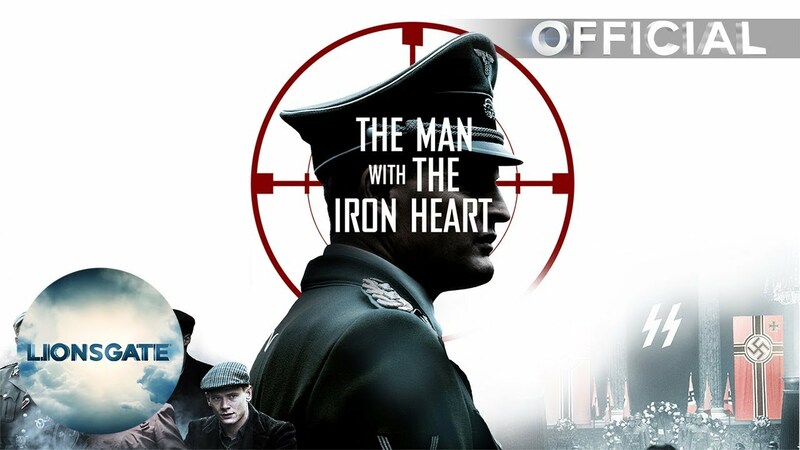 His brutal and oppressive rule of occupied Czechoslovakia leads to Hitler dubbing him “The Man with the Iron Heart”. However, a small group of Czechoslovak Resistance fighters led by Jan Kubiš (Jack O’Connell, Starred Up) and Jozef Gabčík, (Jack Reynor, Free Fire) seek to stop the unstoppable and plan to assassinate Heydrich, making him the highest-ranking Nazi officer ever to be killed during World War II. Based on Laurent Binet’s bestselling book HHhH, The Man With The Iron Heart and its all-star cast tell the incredible true story of how the brave men and women of the Resistance sacrificed everything in the name of freedom.